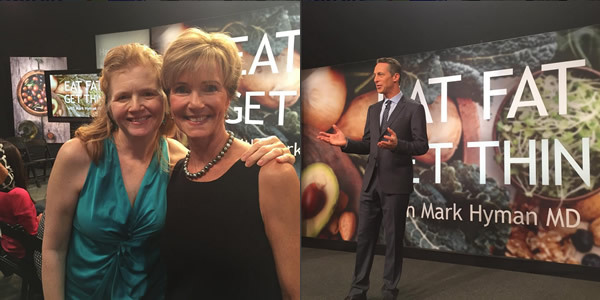 I was excited to learn that my friend Sally Cameron created the recipes for Dr. Mark Hyman’s new book, Eat Fat, Get Thin: Why the Fat We Eat Is the Key to Sustained Weight Loss and Vibrant Health . I truly respect Dr. Hyman and the work he has been doing around functional medicine, diet, nutrition, and health. So when Sally asked if I wanted to go to the taping for his PBS special with the same title, I couldn’t wait to attend and meet him and his team. 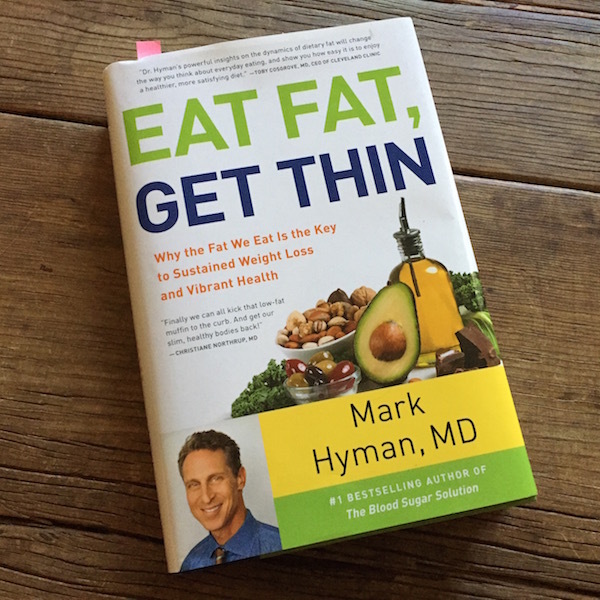 I pre-ordered the book and anxiously awaited its arrival, not just because I wanted to see what he said about healthy fats and the brain, but because I overindulged last fall and put on a few pounds. I was curious to try the program in his book as well as read it and utilize it as a reference for my work in migraine relief. and most importantly, NO CRAVINGS. I have never ever had this kind of response before in terms of turning off my carby cravings. It’s not a willpower thing, I literally look at something like the candy dish at my vet’s office and have no feeling about it. I would have liked to have lost closer to 3-4 pounds, but I also didn’t follow the plan exactly. I had three days where I attended food events and it was tough to stick to the plan (my choice). I also did not use all the supplements he recommends. I’m already taking a bunch of supplements, and I didn’t want to add in anything else. I wanted to focus on the food. I am definitely pleased with the inches lost, as my jeans are fitting better again. It took a few days of adjustment to get to the no cravings stage, and note that I was already pretty close to following his plan as I was doing Whole30 at the time (Whole30 allows more starchy carbs and does not place as much emphasis on adding extra healthy fat). 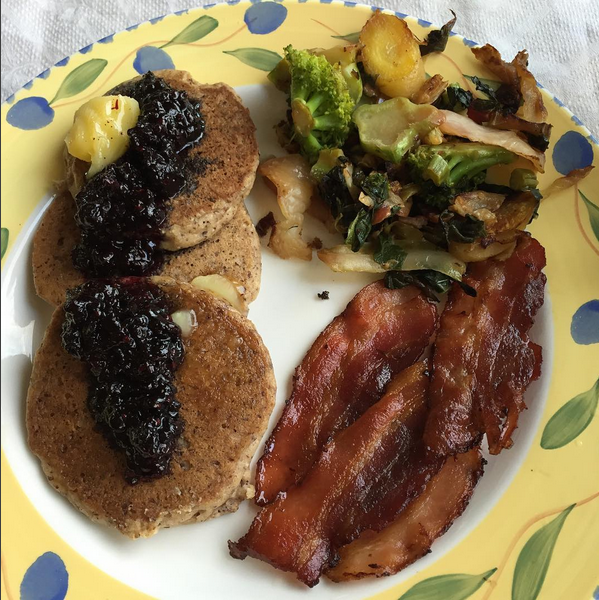 In nutrition terms, Whole30 is not a ketogenic diet, which this one is. I suspect that if you are currently eating a Standard American Diet the adjustment would be kinda rough and would take more than three days. I intend to stay on the plan indefinitely, with just the occasional food off the pla. 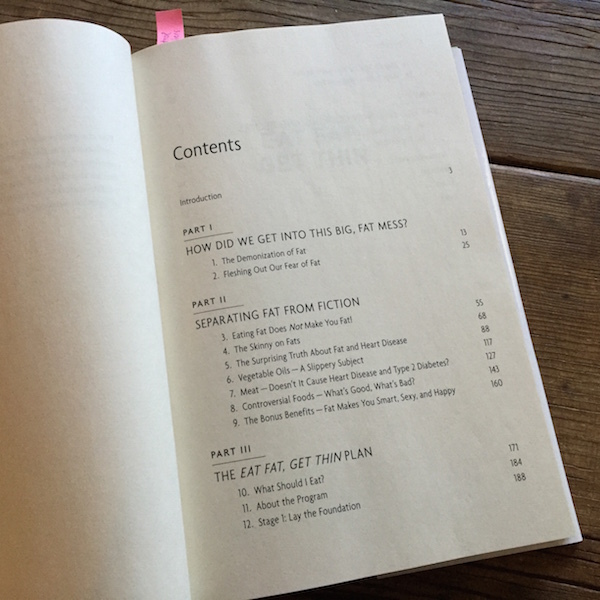 The book is well-designed, with easy to read fonts. There is no photography in the book. 64 recipes include avocado cream with crudites, island dream smoothie, bistro flank steak with baby green beans, crispy seared duck breast with blueberry balsamic sauce, spiced beef taco wraps with guacamole, Asian ginger shrimp with creamy almond dipping sauce, clam chowder, rich homemade mayonnaise, and lemony broccoli slaw. braised sweet fennel—another too-stewy recipe without enough flavor, I would prefer to oven roast the fennel to really taste its sweetness. I did make great blended soup from the leftover stewed vegetables and chicken broth and veg from #7. 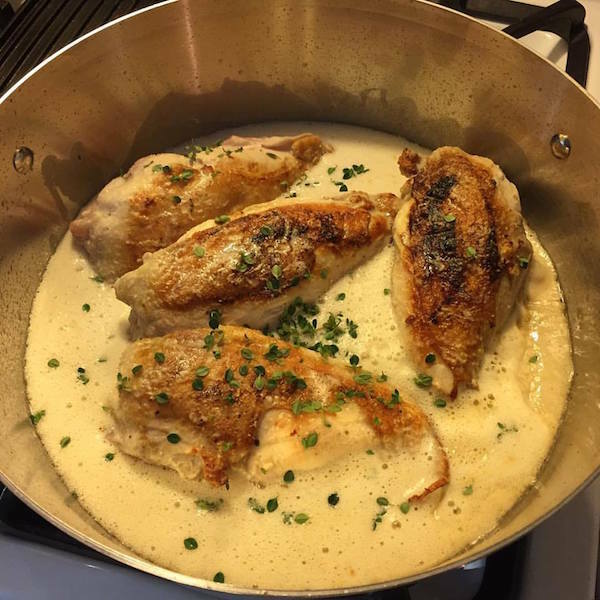 I appreciated learning some new cooking methods from a chef and have three recipes that are winners so far, which is way more than I can say for many other books. I love his writing style and tone, which is fun and approachable, not at all like a typical MD. 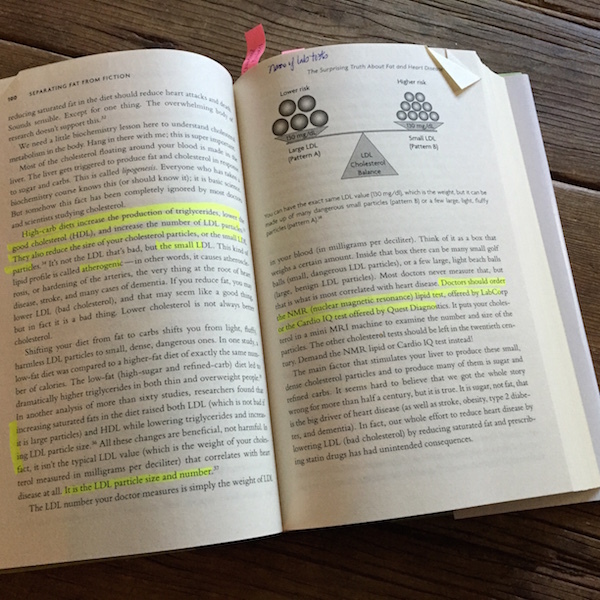 A few well-placed diagrams help explain more complex ideas. I got a ton of useful information, and if you are still under the impression that fat is bad for you, I strongly encourage you to read this book. Especially if you think eating fat will lead to heart disease (spoiler alert, it won’t). The plan is incredibly well-tested (over 1,000 people have tried it) and a few of their success stories are included, which is also impressive. All the recipes are grain-free (so therefore gluten-free), and contain no legume, sugar, starchy vegetables, or dairy (except for a few with grass-fed butter as an option). It’s safe for people with diabetes, heart disease, and other conditions. It does rely on nuts, so people with nut allergies and migraines need to be aware of this. I wouldn’t muck around with the recipes: the ones I tended not to like were the ones where I made substitutions. You don’t count anything, you can eat as much as you want of the foods on the plan, so you are never hungry. I also liked the cooking how-to section, both for equipment but also for techniques. The only thing I would say is that the preparation section assumes that people can do a pretty difficult (and emotional) task of cleaning out their entire kitchen in one day. There isn’t anything in the book to prepare people for how they are going to feel detoxing off a Standard American Diet, which can make you feel pretty horrible for a week or longer in some cases, depending on how much sugar, salt, and processed food you are currently eating. paleo, vegan, vegetarian, celiac, gluten-free diets (he does explain how to do the plan if you are vegetarian/vegan, although it would not be easy without legumes); excellent for people dealing with obesity, diabetes, heart disease, and other chronic conditions. Migraine or low-sodium diets (he suggests eating lots of salt as going low-carb acts like a diuretic, most of the recipes are over 120 mg/sodium/serving). Many recipes use nuts, vinegar, avocado, and citrus, which are all migraine triggers. 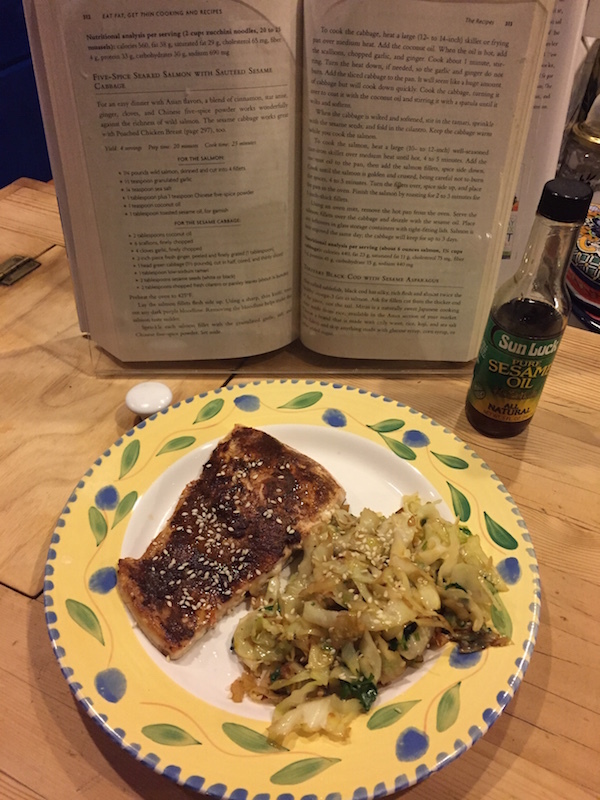 A note about my cookbook reviews: Because this book is aligned with my dietary limitations I was able to test quite a few recipes and do them justice. Required FTC disclosure: I received one copy of this book from the publisher for the giveaway on March 31st, 2016. It makes alot of sense. The French diet is very high in fat and they are rarely over weight. Sounds like a good book.